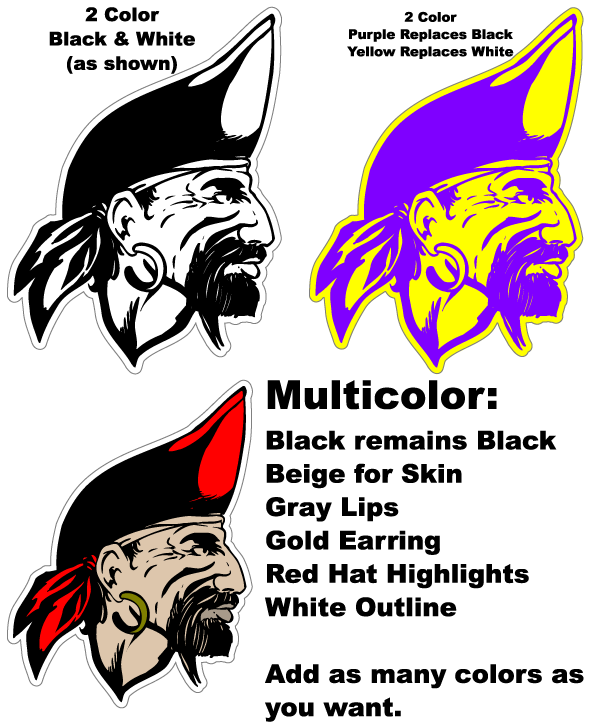 These Mascot Stickers are available in any length and are measured LEFT TO RIGHT. The white is just a background color. 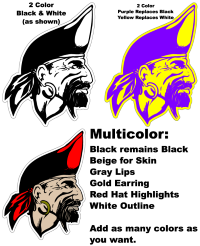 Your Mascot Sticker will not have a background; all Stickers are die-cut. See the color chart for details on colors. For SHADOWS just order 2 of the same size Sticker in different colors. After you apply the first Stickers, offset the second color for the desired shadow. See an example here.